Need to get your website ducks in a row? Best of all these templates were updated in May 2018 so they cover all the GDPR required language! Yes! Please send me the Mad Libs and send your favorite tips, tricks, and resources to my inbox. I'll pass! Please send me the Mad Libs only. I bet you sometimes quickly check the “I agree” box on a website stating that you agree to their terms and conditions so that you can continue doing what you were doing. Now, while this is a bad idea, even I occasionally am guilty of it. 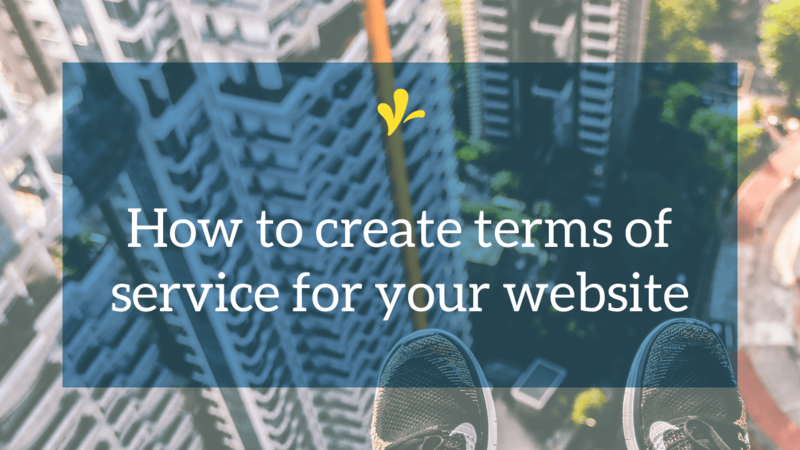 Why have terms of service? 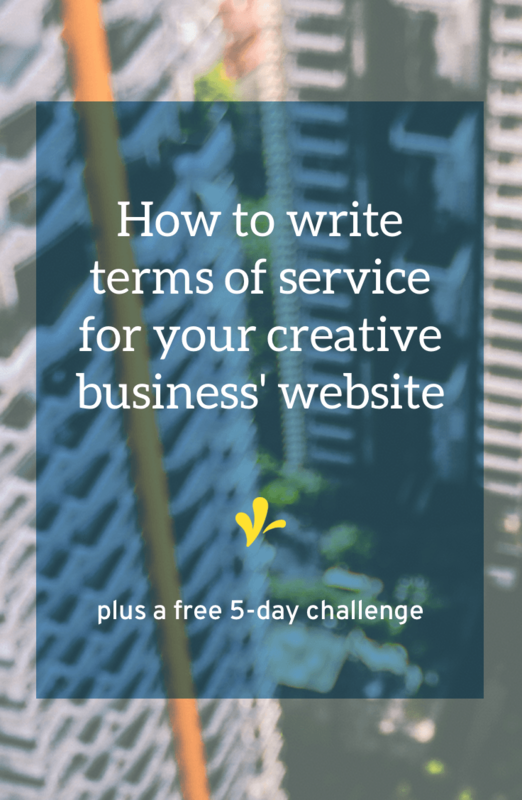 Terms of service are really just a contract with your website visitors. Your website’s TOS let them know what their rights are, what they can expect from you, and what you expect of them. There’s hardly a website out there that shouldn’t have terms of service. 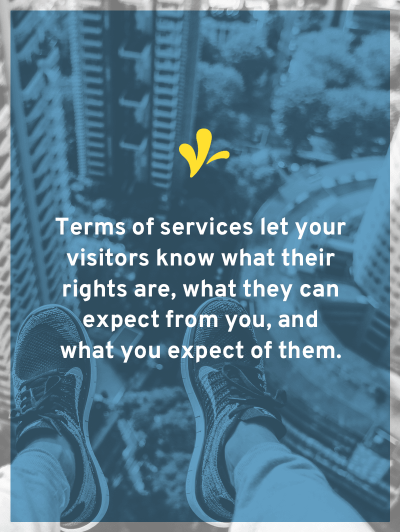 Your website’s TOS let them know what their rights are, what they can expect from you, and what you expect of them. And because of that the solution isn’t to eliminate your website’s terms of service. Or to run out and grab someone else’s, because just like you shouldn’t ever sign a contract you don’t understand you shouldn’t write one you don’t understand either. The solution should be to take a couple of hours, put on your “thinking like a lawyer hat“, and write something that works for your website and business. When you are ready to draft your terms of service, get out your notebook and create a mind-map of all the ways a visitor could interact with your site (both when they are doing good things and doing bad things) and then let them know which things are a-ok and which ones aren’t. Want a jumping off point? Click the image below to grab a Mad Libs template you can use to write your terms of service. 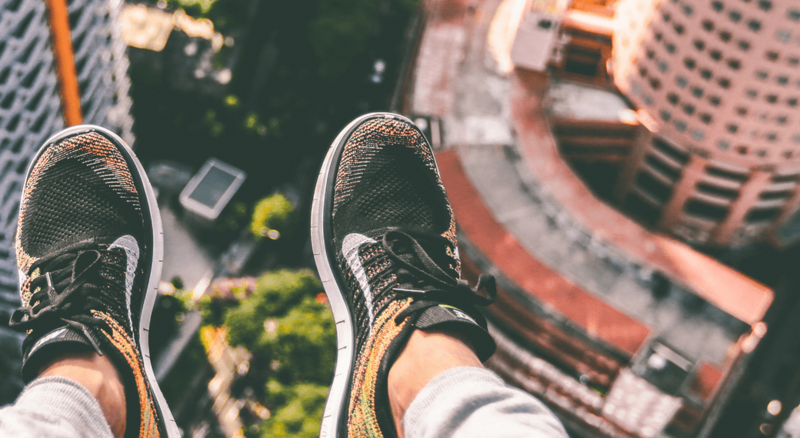 If your website allows for comments or any other sort of user-generated content, you might want to include in your terms of service what your policy is about this kind of content. I’m assuming that most of us would not want user-generated content that was defamatory, offensive, obscene, or violated someone else’s intellectual property rights. But what else? Do commenters need to add value to the conversation? If so, who makes that call? What is and isn’t within the bounds of adding value? How will they be notified if they violate this policy? How many chances to they get? What will happen when you decide enough is enough? I know that you pour your heart and soul into each portion of your website. So your terms of service should outline what others can do with you content and what you consider out-of-bounds. Many of you creative types share tutorials on your website, so what can people do with the resulting product? Can they sell it? Must they use it for personal use only? Then there is the issue of sharing your content. Is it a-ok to use one photo of your process and their finished result? Or can they share step-by-step photos of their experience following your tutorial? One of my favorite examples of this is the FAQ on A Beautiful Mess about posting their DIY/recipes on your blog. It spells out exactly what you must do (post only one photo of the finished project and link back to their site) and what you can’t do (post the entire content, step-by-step photos, or written instructions). Before you finish up this section you should also outline how another content creator can contact you if they think you’ve overstepped your bounds and have infringed on their intellectual property. At the end of your Terms of Service, you’ll want to let users know what the procedure will be to change your terms of service. Will you notify them and give them so many days before the new policy goes into effect? Create a mind-map of how visitors could interact with your website so you can create a policy. 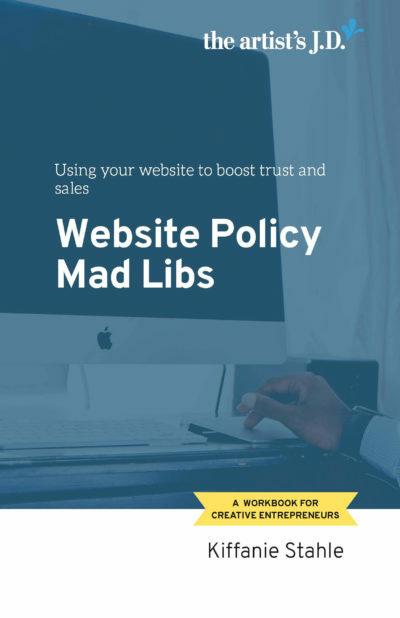 Click the image below and grab a free Mad Libs template that you can use as a jumping off point when creating your policy. When you created your mind-map did you come up with any areas that I didn’t cover above?